Home › Reviews › Is The Forum Wheel A Scam? Is The Forum Wheel a scam? Does this company actually pay you to post to forums? Do you need comments posted on your forum? Do you want to find more information about this interesting company? 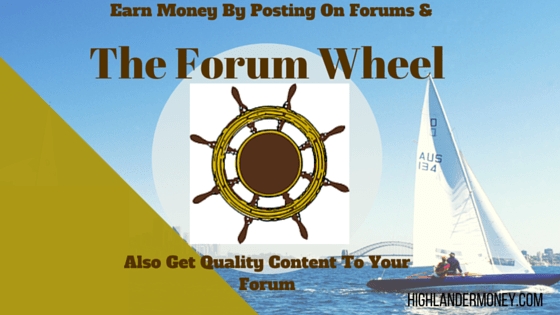 Well basically to get things steered in the right direction, The Forum Wheel is an online posting exchange company that pays writers to write on forums. They also provide a service for forum owners, with a place and option to get unique visitors to their site by paying The Forum Wheel. Basically, TFW is the middleman providing the platform for both parties to achieve their goals. Thereby providing a service for forum or blog owners with the ability to generate quality content within their platforms. There is quite a need for this, as starting any forum or website and getting people to join and actively visit a new site is arduous to say the least. With all the people creating blogs, I can see a real need for sites like this. 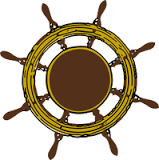 This is where The Forum Wheel has steered the bow of the boat at providing a service for people to make extra money writing at various website and forums and for owners of these sites to seek help in gaining a thriving community. You first need to sign up with The Forum Wheel and create an account. Then activate your account via the link sent to your email. Register at the Gateway then subscribe to The Gateway at the forums. Make your 10 posts within Gateway forum to wait for approval. You should receive your approval within 12 hours. I received mine within about 8 hours. Create at least two new threads. Try to make the topic interesting. Make sure your post is 3 to 4 sentences long. Reread your post and correct where it needs to be correct. Check spelling. Depending on your browser this is simple with the misspelled words come up with a red underline under them. Then right-click to select the correct spelling. Once you are within TFW, it feels a lot like Postloop, another site that pays to post on forums. You can read my other full reviews that are similar to The Forum Wheel here, ContentGather Review, Is Postloop A Scam? & Is Forum Coin Legit? There are a lot of the similarities to the structure and wording within the site. You can expect this due to the same nature of the business. You get the feeling that the owner wanted to create a more improved site to Postloop, retaining what works and altering what needs to be altered. You earn credits for each post you make in a forum. You will receive 1 credit per post. How much is one credit then? $0.05 this is the minimum amount per post. $0.13 is the maximum amount per post. To way to increase your pay per credit is to build a higher rating. This is built up over time by the quantity of post you submit. There is only one method of payment at The Forum Wheel, and that is through PayPal. Which is a good thing, in my book. Keep in mind too, that you can cash out at any time. Love this too. The rating system at The Forum Wheel is based on a scale of 1 through 5. This is a current reflection of your writing quality. Better writing skills equal higher rankings, which in turn lead to higher pay per post. This is where listening and learning in English class pays off. A higher rating also allows you to access more forums, as some require a high rating to be able to post to. This is an excellent way of rewarding all you active content writers! The level system at TFW allows the writers to earn a bonus for being active. The level system is based on the amount of post per day you post. It’s a scale system of 0 -10. Each ascended level pays $0.05 per post. This it seems that you could rack up the money pretty fast but to keep it honest as of at the time of writing this article there were not many forums to post to. Only five forums to post to, then you are limited to however many posts they limit you to. Also, that would be 16 posts for the maximum at the time of writing this. But I believe this could change daily and being a newer site this could change in the future. There definitely room to grow in this business. 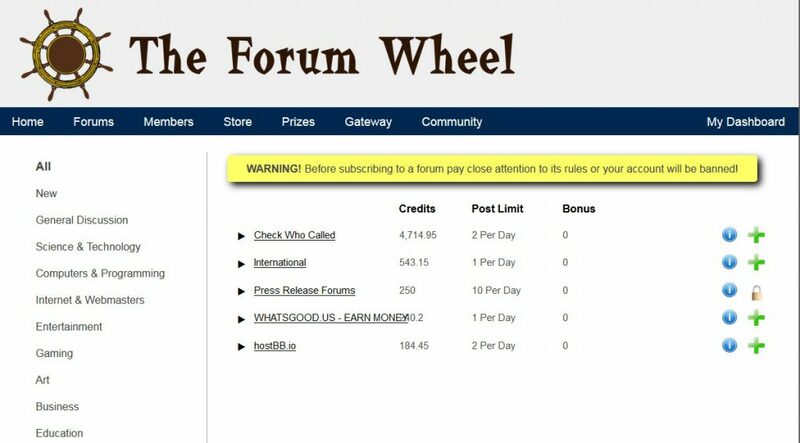 No limit to how much you can earn at The Forum Wheel. When trying to get approval in Gateway, they have a lot of interesting topics in which to post to, at least they were in my opinion. Credits can be cashed in at any time. No waiting to reach a set limit. You can make money posting, or you can also promote your forum or website. These can be purchased through the Store. Gives you adequate guidelines for the quality of the writing that they expect. The Forum Wheel has a monthly jackpot. The jackpots seem small, but it’s positive, and maybe you can win some money. Not at all confusing signing up compared to Postloop’s sign up procedure, which was at times baffling. Fast approval for content writers. Ken Brace – Owner & Administrator, you can tell he cares about his site and making it the best he can. This is evident in his community forum, and he is very active and friendly to see in an owner. The Forum Wheel also has an active referral program. If you interested in joining, please click the banner below to help support my site. Provides a real service that is needed at both ends. A Level system to reward active content writers. No minimum age to start earning money. Great for teenagers looking to work from home. They have a Community page to help members with various problems and general help. A great feature. Easier to get a higher ranking at TFW than Postloop. At the time of writing this post, there were not many forums in which to start making money from. They only have five at this time, maybe the amount of available forums fluctuates. This seems like a new company and just getting things off the ground. This a plus and a negative, but I could definitely see in the future this place ramping up. No refunds for store purchases. Use an Avatar. Either thru Gravatar or upload one yourself at TFW. Use original content. It’s 3 to 4 sentences people, not that hard. Don’t mention TFW in your post. This is generally not a good practice. Have quality post. A minimum of 3 sentences per post reply and 5 or more for New threads. When doing your first 10 test post try to score as high as possible and get a good ranking right away instead of trying to build it up over time. Have a little fun when posting. Keep it engaging and not boring. When posting try to find topics that are interesting to you. Generally, you also have more to contribute to the post when you are knowledgeable in the subject matter. If you enjoy the idea of posting to forums or just writing in general, here are some alternatives to The Forum Wheel. iWriter – My article on iWriter can be found here, What Is iWriter? Who is The Forum Wheel for? Anyone, young or old looking to earn money easily, just by posting to forums. Also, The Forum Wheel is great for any forum owner looking to draw quality content and users to their site. Making it an active and relevant community. There are guidelines to help new and current members that adequately help to understand and correctly post to forums. It’s all there within the guidelines or the Community forum. If you want support, Ken has got you covered. He is active and around the site responding to the community forums or clicking on the support button. I asked a question and promptly received an answer. It was nice to see. Any question or comments please feel free to write below. Thanks. ‹ Is Postloop A Scam?